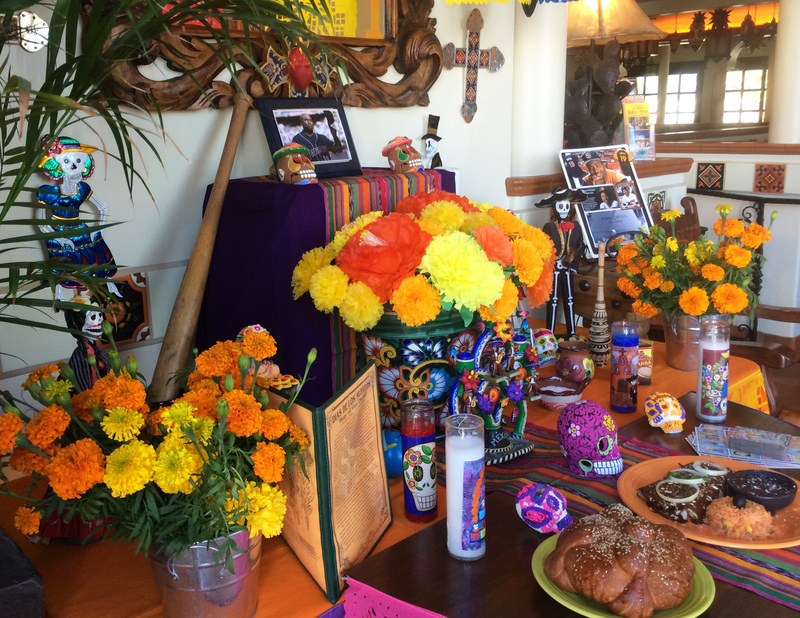 Come See Casa Sol y Mar’s Altar Honoring Tony Gwynn for Día de los Muertos! Día de los Muertos is a joyous festival when the memory of loved ones and the continuity of life are celebrated. Traditionally, altars are set up that include favorite items of the departed, such as drinks and food. Special skull-shaped candies and breads are also prepared for the occasion. Come see our Day of the Dead altar at Casa Sol y Mar in Del Mar Highlands, where we are remembering the life of Tony Gwynn. Join us for lunch or dinner then take a trip to Old Town, where Bazaar del Mundo will be celebrating the occasion on Nov. 1 & 2 with more elaborately decorated altars, sugar-skull decorating and face painting. Are San Diego restaurants getting healthier? That’s the question Lori Weisberg is answering in her recent article for U-T San Diego. Lori talks with Healthy Dining President Anita Jones-Mueller, who says one of her favorite healthy dining choices when she eats out is the Salmon Fresco at Casa Sol y Mar! Read the full article and view the gallery here. Give your holiday fiesta some Casa Sol y Mar flare, and let us host it here! You’ll find splashing fountains, festive strolling mariachis and frosty Birdbath Margaritas that will fill your guests with cheer at your exciting Mexican fiesta holiday party or company lunch! Choose from one of our affordable event packages, or let us work with you to custom design your perfect menu. Indulge in authentic award-winning Mexican cuisine among beautifully decorated dining rooms and an enchanting outdoor patio. Diane Powers’ Casa Sol y Mar is a top Del Mar destination for regionally inspired Mexican fare. Decorated with hand-crafted furnishings, fine Mexican folk art, and colorful hand painted murals, guests feel the warmth and romance of Mexico as soon as they enter the door. 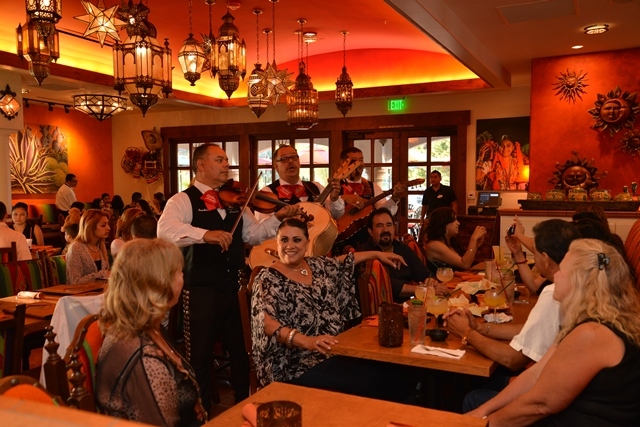 Diners can enjoy giant Birdbath Margaritas while being charmed nightly by strolling mariachis playing popular Mexican ballads – making it a great place to bring family or colleagues for a very special holiday experience. 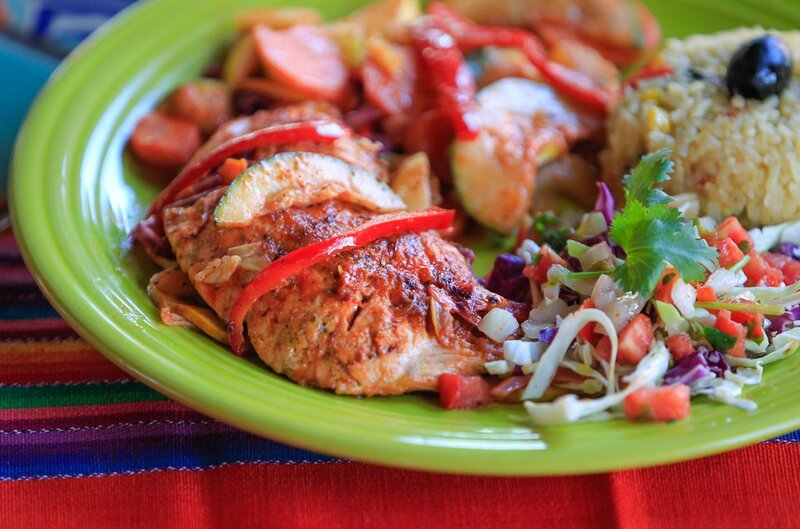 Casa Sol y Mar offers abundant banquet and catering menu options featuring award-winning authentic Mexican cuisine. Only the freshest ingredients are used for their 14 salsas and sauces made fresh daily, delicious selections of homemade salad dressings, and hot corn and flour tortillas prepared throughout the day. Popular dishes include the flavorful Carnitas a la Michoacan, succulent morsels of pork served with hot tortillas, guacamole, salsa and beans. During the holidays, Casa Sol y Mar serves delectable Holiday Turkey Tamales, a beloved Mexican tradition, filled with tender turkey, raisins, chopped pecans and apples, all topped with a rich mole sauce and sesame seeds. Casa Sol y Mar also caters to the diner’s dietary needs with gluten-free, vegetarian and healthy dining selections. Give your guests a fiesta to remember! To let us bring the fiesta to you, call us at 858-792-4100 to discuss party-to-go options or visit our website to view our take-out catering menu.